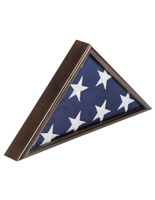 Give due respect for a fallen hero with our memorial flag case. 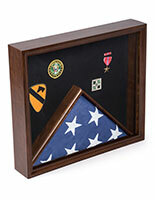 The cabinet is sized for 3' x 5' government-issued American flags. 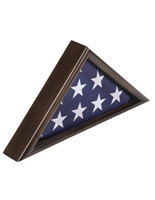 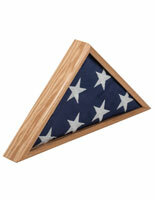 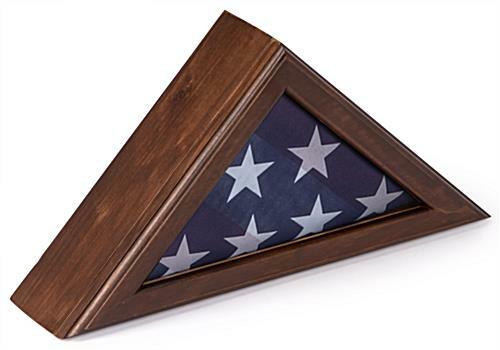 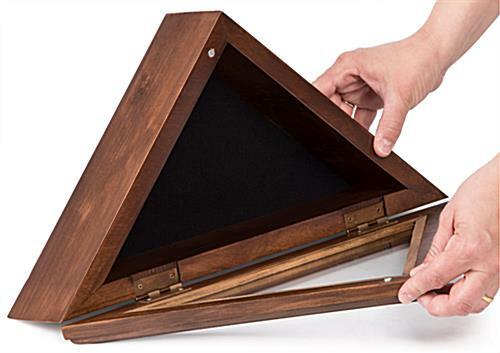 Constructed from solid wood with a glass front, the memorial flag case will keep your memento safe from dust and dirt. 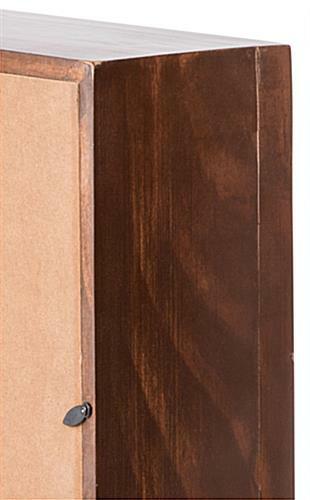 To access, simply pull down on the hinged front door to release it from the magnetic catch. 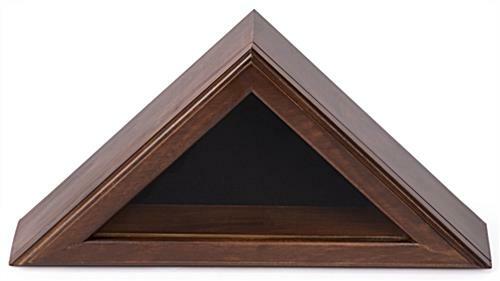 The case can sit on any shelf or fireplace mantle. 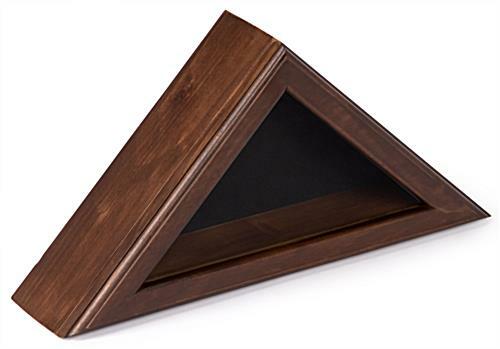 Or if you prefer, it can also be wall mounted.